It’s all about the frame….and the space…and the illusion. And of course, getting your lipstick on straight. People have been admiring their reflections in man-made mirrors since they began polishing the surface of a type of volcanic black glass called Obsidian, around 6,000 years ago. Mirrors remained primarily a luxury item until the 1800’s when a new manufacturing process, a coating on the back of a sheet of glass, made mirrors affordable and readily available to everyone. There is much mysticism surrounding the use of mirrors, some believe that breaking one may cause 7 years bad luck. Once upon a time, people believed that when a member of the household passed away, all the mirrors in a house had to be covered. A good mirror in a great frame can double your visual space and give an ordinary room the wow factor. Have a look at the hall of mirrors in Versailles, for example. Framers know mirrors, which many people don’t realize. It’s all about the frame and we really enjoy doing them. We can get creative to give you something totally unique and perfect for your setting. 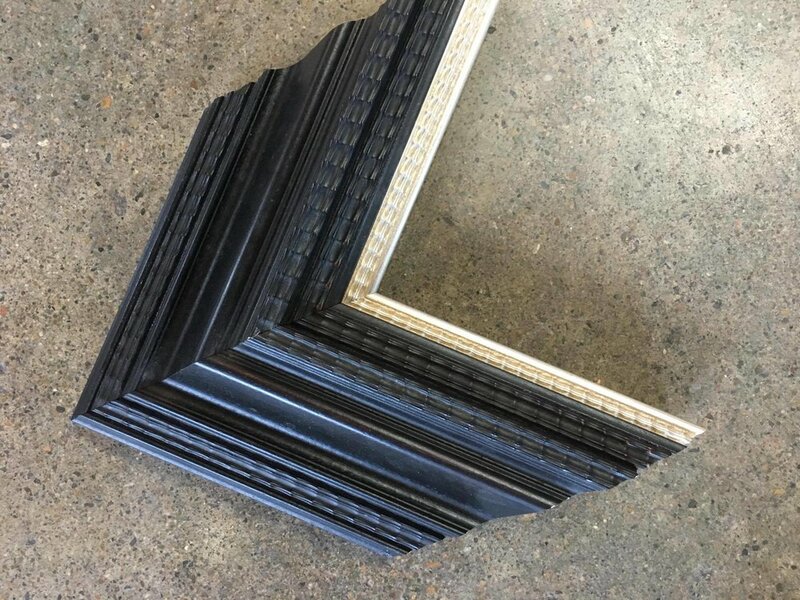 We have a wonderful collection of antique frames that can easily be fitted with mirrors. 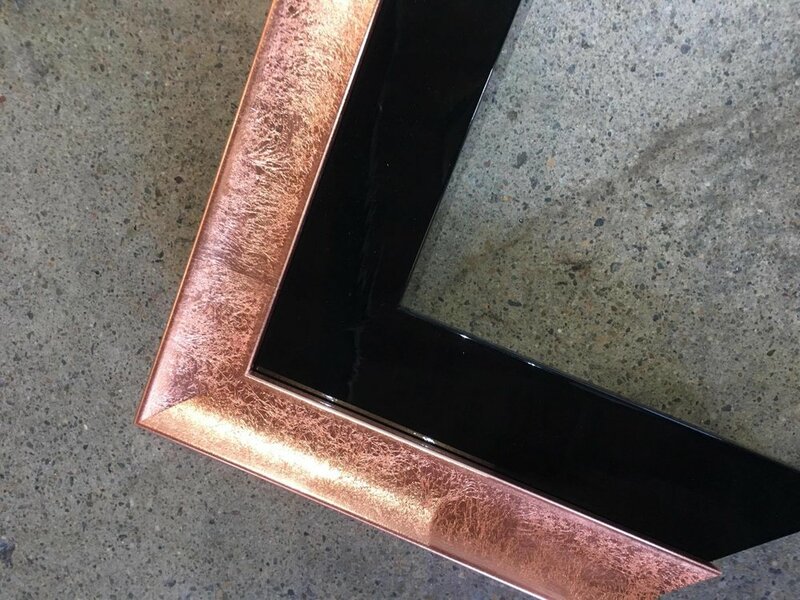 We can also reframe and repair damaged mirror frames. Have a look at this vintage painted mirror we restored recently. We cleaned and repaired the flaking original artwork on the mirror. We decided to keep the two original inner mouldings to preserve some of the original framework. The outer frame was replaced as the original was not strong enough to support the piece any more as we also added a piece of Museum glass to the front to protect the painting and the velvet frame from further deterioration. 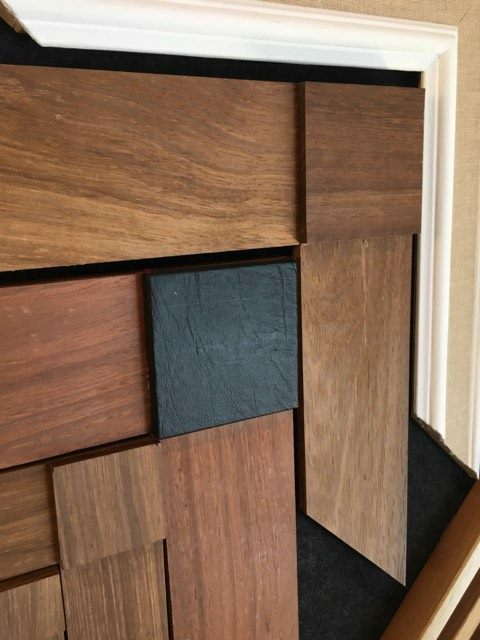 We have a broad range of traditional and contemporary frames that can be made to your specifications. 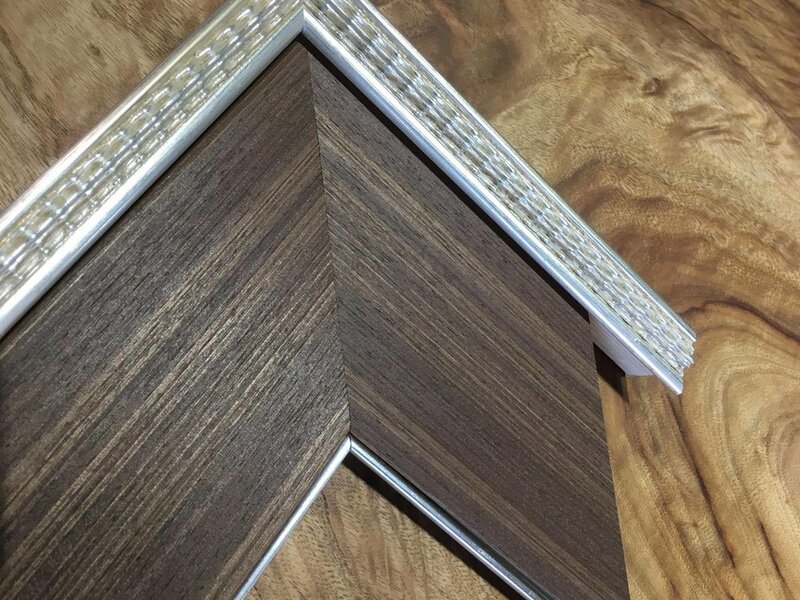 The possibilities are endless….to match your furniture, interior, architecture, to reflect the light, double your space, disguise a feature in your home or accommodate your personal style…..just have a look at some of these gorgeous design concepts. Pop in today and lets get creative! End of financial year stocktake sale! We're excited to be holding our first stocktake sale! Head in store to take advantage of our great end of financial year offers. Offers end 30 June 2016. Available in store only, while stocks last. No rainchecks.